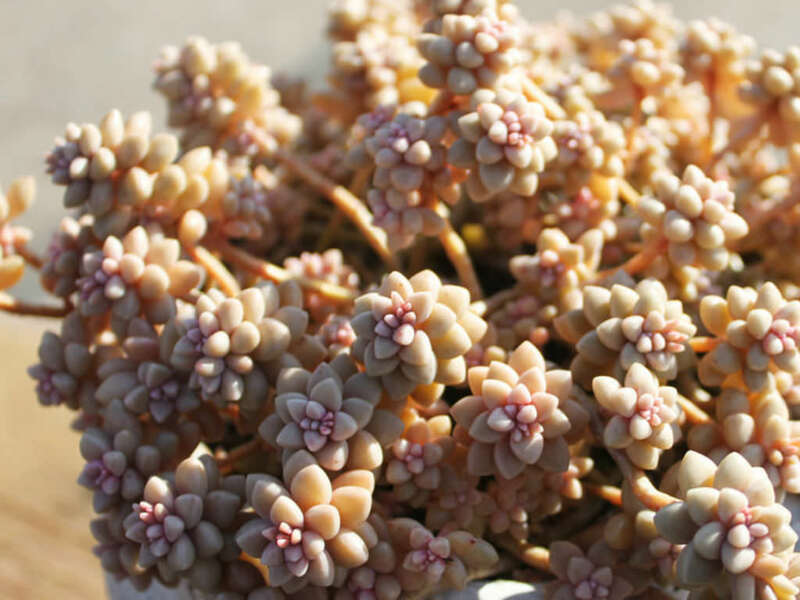 It is known in Korea as x Graptosedum ‘Vera Higgins’, but this name is not correct. 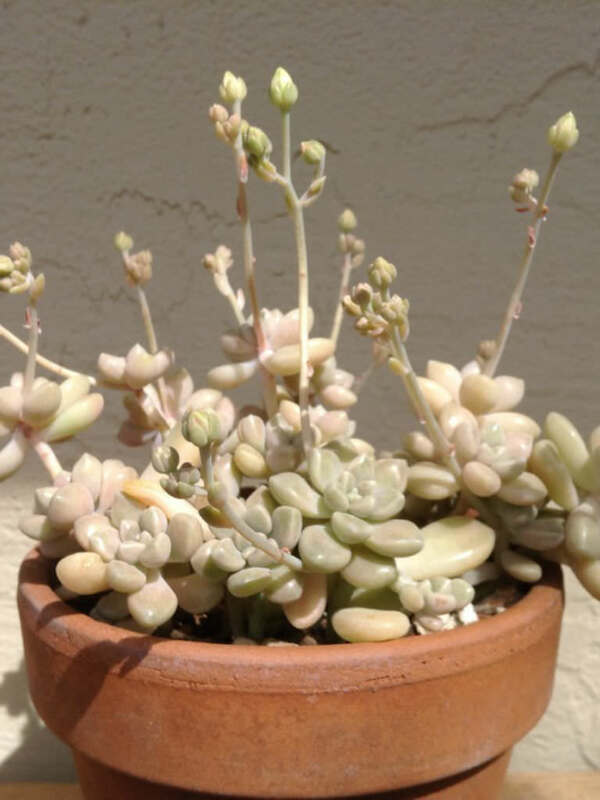 Graptopetalum ‘Mirinae’ is a perennial, rosette forming succulent. 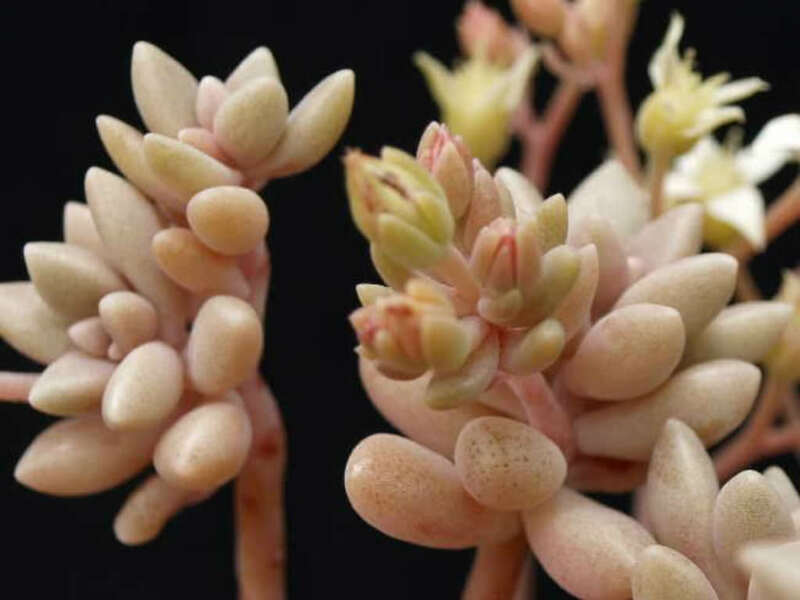 It is certainly a hybrid, resembles Graptopetalum mendozae but has not the same type of rosettes and the flowers are not pure white as those of G. mendozae but have more or less tiny red dots. The rosettes are up to 1.2 inches (3 cm) in diameter. 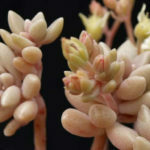 The leaves are up to 0.6 inch (1.5 cm) long and 0.2 inch (5 mm) wide. 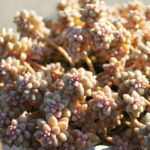 The flowers are small, up to 0.4 inches (1 cm) in diameter, with 3, 4 or 5 petals. 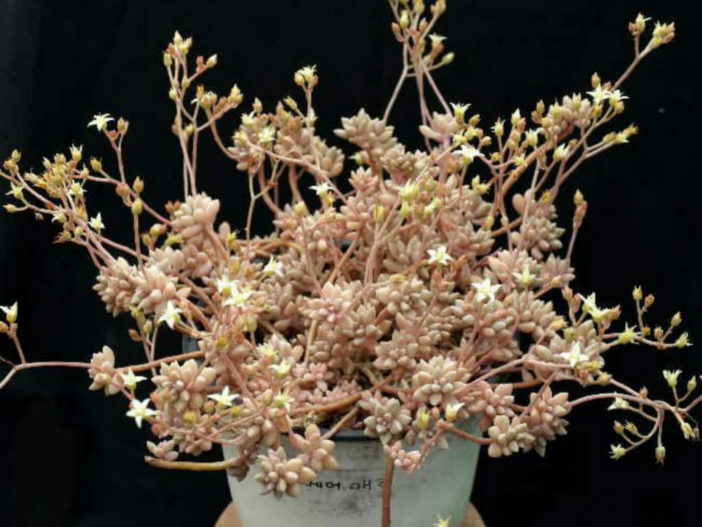 Graptopetalum ‘Mirinae’ is possibly is a Graptopetalum hybrid. 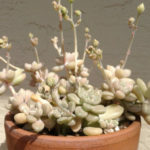 Next Article What are Epiphytic Cacti?